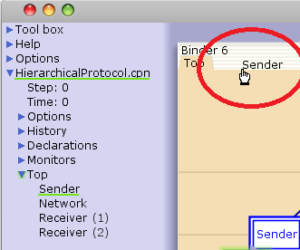 This page explains some of the basic steps to using CPN Tools. 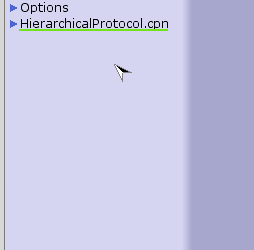 If you have never used CPN Tools before, this is a good place to begin. On the CPN Tools Help page, you can find more detailed information about the various aspects of the tool. If you have problems installing the tool, read the installation page, or report your problems to our Support. 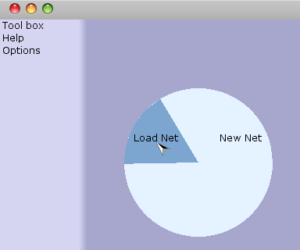 There are numerous example nets included with CPN Tools that illustrate some of the possibilities the program offers. 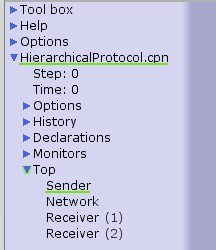 If you are new to CPN Tools or CPNs in general, start by taking a look at some of the simpler examples, such as the simple protocol example or the resource allocation example. To create a CPN, you will need to edit the net, add/edit declarations, and add/edit inscriptions (to places, transitions, and arcs). To improve the readability of the net, you can edit the layout and edit style attributes. 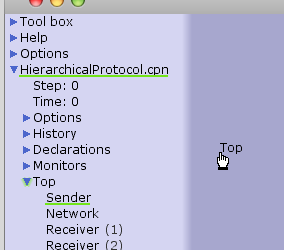 To debug and analyze the net, there are facilities for syntax checking, simulating nets, and state space analysis. To open a help page from the index drag it to the workspace, like the interaction for opening a page (see Opening a page). For more information about the Help pages, see the help page for Help entry in index.